The Speedy Micro can be used by children as of a height of 70 centimetres. Thanks to the lightweight aluminium frame and the 16 inch wheels, it weighs just 6.2 kg in total. 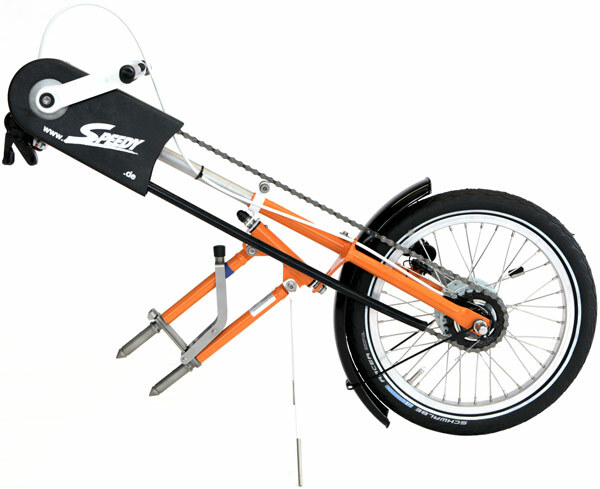 The coupling and lift system was specifically developed for the Micro as a mini-version of the Speedy-Tandem. The Speedy-Micro is adjustable to different types of wheelchairs, up to a body size of 110 cm, and to many disabilities. The device can be optimally positioned by adjusting the height, length and angle to suit the rider’s body. 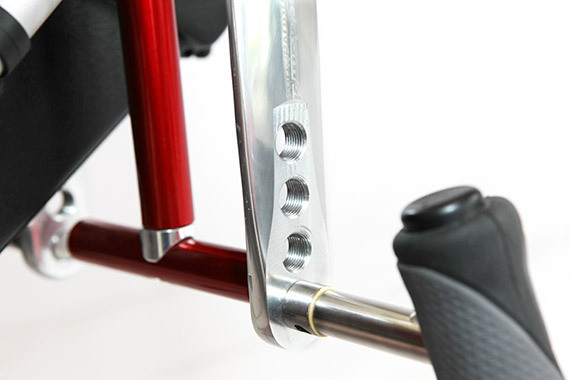 The cranks are equipped with additional holes for the handles, so that they can also be changed in terms of length. Because it grows with the rider, the Micro can be used over several years. The backpedal brake works reliably in all weather conditions and is easy to use. The eight speeds of the Shimano hub gears can be selected using a robust latching switch. 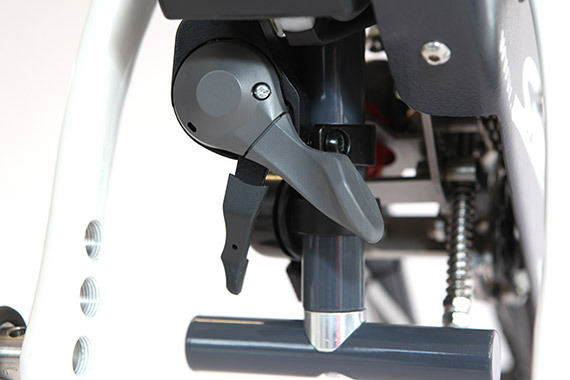 The design of the control head and coaster system makes riding easy. The infinitely variable inertia steering dampers guarantee excellent ride stability.